The National Road Transport Association (NatRoad) has provided a submission to the Victorian Inquiry into the On-Demand Workforce. 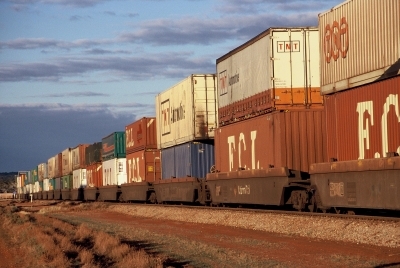 NatRoad CEO Warren Clark said: “The nature of the freight task is changing. We told the inquiry that this change in part comes from changing community preferences and demographics linked with technology developments. Members have informed us that there is a large number of digital platforms that ‘match’ freight tasks with transport companies. They essentially offer a limited form of freight forwarding, often without assuming any of the liabilities which accompany the traditional manner in which freight forwarding tasks occur. They want members to operate on demand. “The experience of members with these platforms has been negative,” he said. “NatRoad surveyed our members and the qualitative feedback was that currently digital platforms are only used to fill occasional loads. But there are no checks and balances in place to ask if the members have the capacity to complete the job, the right insurance or safety measures in place. These platforms do not meet the chain of responsibility requirements at all. “NatRoad’s answer to the regulatory issues that arise in relation to digital platforms is to extend the chain of responsibility laws to these platforms under certain circumstances. It is clear from the feedback from the member survey that regulation through the chain of responsibility would be welcomed by members. “Although NatRoad has welcomed the changes that enhance the chain of responsibility provisions from 1 October 2018, they are still limited to specific parties. The definition in the Heavy Vehicle National Law of who is a party in the chain needs to be amended to include all parties who influence or control transport activities. This will then capture persons who promote ‘platforms’ for the undertaking of work but who currently protect themselves from any legal responsibilities related to the transport task. “NatRoad’s main recommendation to the inquiry, therefore, is an expansion in COR obligations. “We also argued against the re-introduction of ‘safe rates’ into the transport industry. But we proposed that there should not be freight contract rate that was below the modern award minimum wage rate unless it was filling a backload or part-load and there was informed consent to this condition. Paying below the modern award rate would be plainly unconscionable” Mr Clark concluded.